WHAT TIME IS THE CATTLE DRIVE? 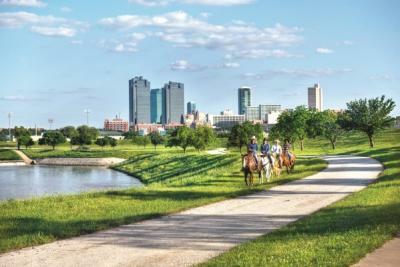 The Fort Worth Herd cattle drive occurs every day, twice a day, seven days a week. The morning drive is at 11:30 a.m. and the afternoon drive is at 4 p.m.
WHERE IS THE BEST PLACE TO WATCH THE CATTLE DRIVE? 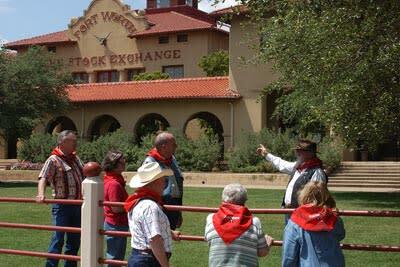 The best place to view the cattle drive is on either side of E Exchange Ave between Stockyards Station and the Livestock Exchange Building. 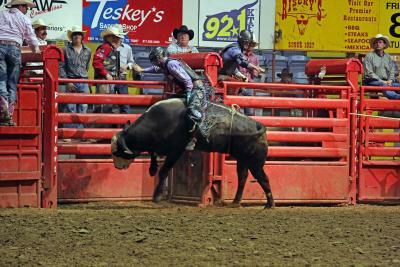 The Stockyards Championship Rodeo is held Friday and Saturday nights year-round at 8 p.m. in the historic Cowtown Coliseum at 121 E Exchange Ave.
ATMs are located in the front of Cowtown Coliseum, Love Shack, Finchers White Front Store and inside the Stockyards Stables. Public restrooms are located inside Stockyards Station, and inside the Livestock Exchange Building. WHERE IS THE VISITOR CENTER LOCATED? 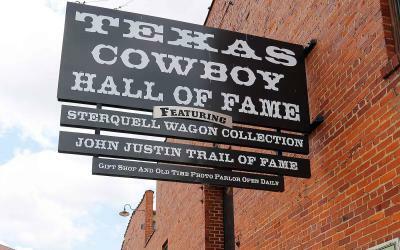 The Stockyards Visitor Center is located inside the Texas Cowboy Hall of Fame. The hours are Mon-Thurs: 9 a.m. to 5 p.m.; Fri-Sat: 10 a.m. to 5 p.m.; Sun: 11 a.m. to 5 p.m.
WHAT DO YOU RECOMMEND FOR CHILDREN TO DO WHILE IN THE STOCKYARDS? The Stockyards offers a variety of attractions for children including: the Pawnee Bill Wild West Show, the Stockyards Championship Rodeo, Fort Worth Herd Cow Camp, a petting zoo, pony rides and special events throughout the year. IS THIS AN ACTIVE STOCKYARD? HOW DO I LEARN THE HISTORY OF THE STOCKYARDS? 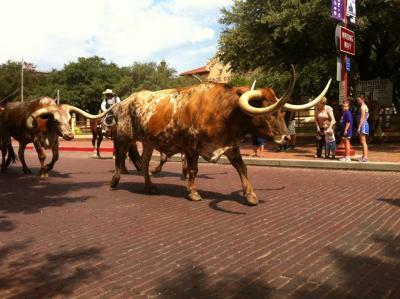 No, the Stockyards doesn’t keep or sale livestock any longer. The two packing plants, Armor and Swift, closed in 1962 and 1976, respectively. In 1976, the Fort Worth Stockyards was designated a National Historic District. To learn more about the fascinating history of the Stockyards, visit the Stockyards Museum inside the Livestock Exchange Building or book a guided walking tour inside the Visitor Center. WHERE CAN I RIDE A HORSE? 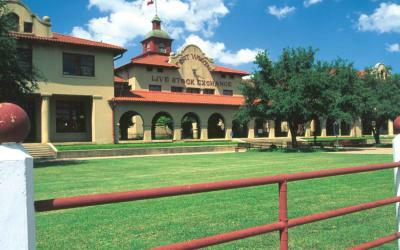 Horse and mule rides are available at the Fort Worth Stockyards Stables located at 128 E Exchange Ave. Walk down the alley between the southside of the Hyatt Place Hotel and the Horse and Mule Barns.